Thank you for your interest in having a Pump It Up fundraiser. Pump It Up of The Woodlands can help your organization raise money while your guests jump for joy on our super-sized inflatables. A Pump It Up Fundraiser involves the entire family. Everyone is able to jump, slide, and laugh on the inflatables at Pump It Up. 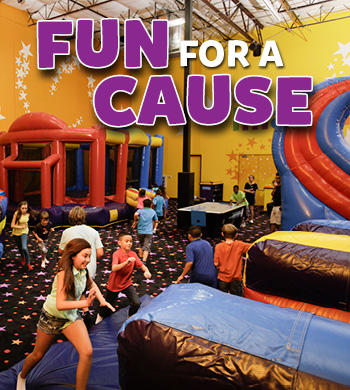 A Pump It Up fundraiser is a private 2-hour event. SELECT a date and time. The Pump It Up facility is available to support fundraisers Monday through Thursdays. DETERMINE the per person price of your fundraiser. Pump It Up will charge $5/person, the rest is your organizations profit. 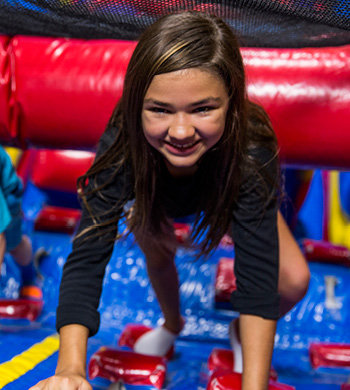 Jump, Climb, Slide, and Bounce your way into the Pump It Up Sports Team Party! Your sports team will enjoy lots of fun-filled inflatable playtime and the use of our brightly decorated, private party room for trophies and awards. Our Team Party includes 80 minutes in our supervised party arena, 40 minutes for awards presentations in our party room, pizza and beverages, complimentary paper products, party set up and clean-up and more, all in a private, safe, clean, climate controlled environment. 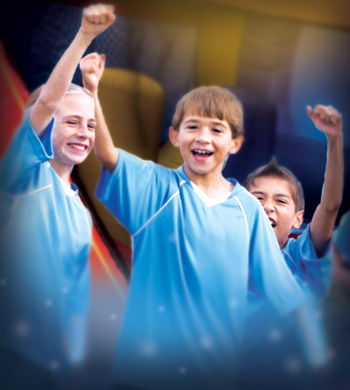 Call today to reserve your Pump It Up Sports Team Party! $12.95 per child includes pizza and drinks. Minimum 12 kids.